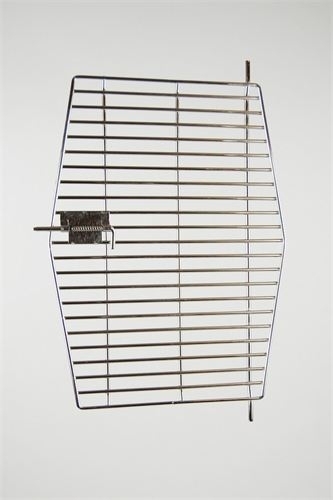 Stainless Steel Door for Small Wingabago® Bird Carrier ( Carrier NOT included, cups not included) We highly recommend the stainless steel door for added ventilation in warm, summer months. The stainless steel door is required for airline travel. In addition to added ventilation, it is great for birds that like to hang, birds that prefer water bottles, and for bird companions that like to offer a comforting finger. note that this door may not fit older carriers -- please contact us for more information..
Great additional item to compliment the Winnebago for summer time. Allows the car AC in summer heat out. My bird seems much happier with this. 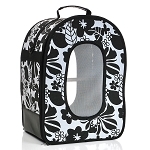 I purchased the Wingabago for vet visits and taking my Floyd out for walks. Concerned there was not enough ventilation when it is warmer out. Purchased the steel door and now feel better that I did. And Floyd hangs onto the door rather than the perch. He seems to enjoy the carrier better.